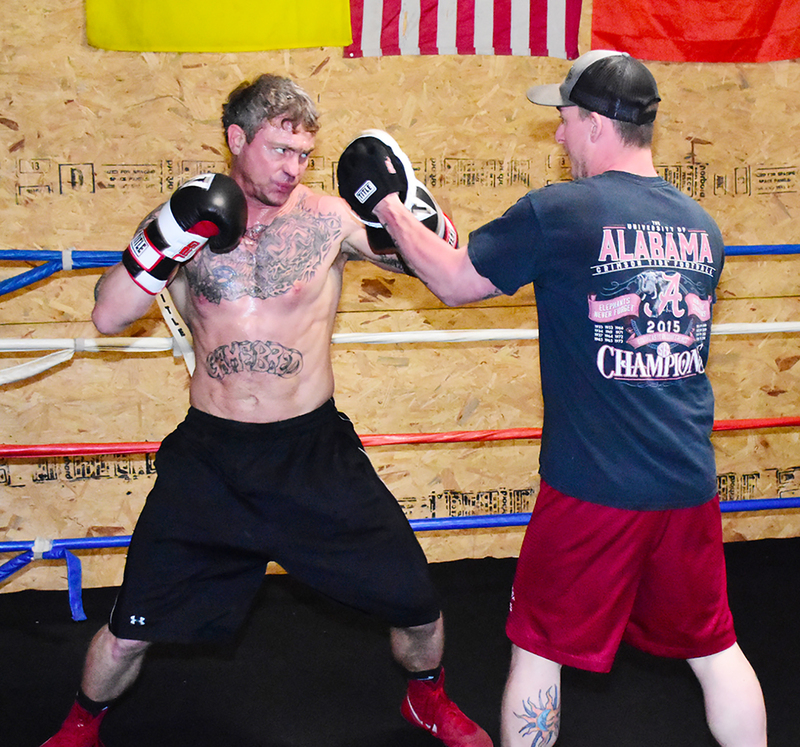 Local professional boxer Anthony Stewart (left) is shown sparring with his trainer Seth Leonhard during a recent session at the 205 Gym in Fayette. Sometimes in both boxing and real life, you have to get knocked down before you can succeed. Local professional boxer Anthony Stewart’s life took a sharp detour a few years ago after a promising career in amateur boxing. Now he has a second chance in life and as a boxer, and he plans to make the most of this opportunity.